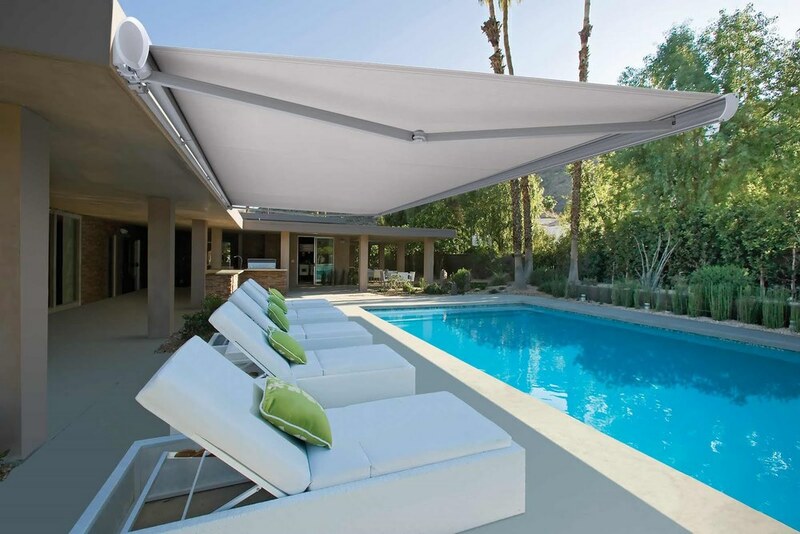 Leading the way in both custom and DIY shade products. Featuring blacksmith-forged, wrought-iron braces and premium Sunbrella fabric. 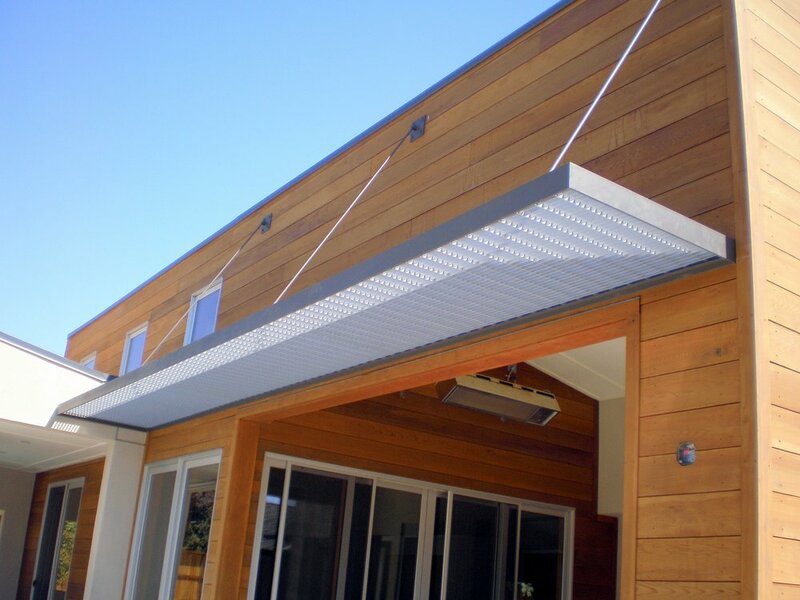 Shoreline's DIY Awning Kits are the best on the market. With a minor amount of DIY work, your home can be the envy of the block. Combine with one of our premium Bromic radiant heaters for a year-round experience. 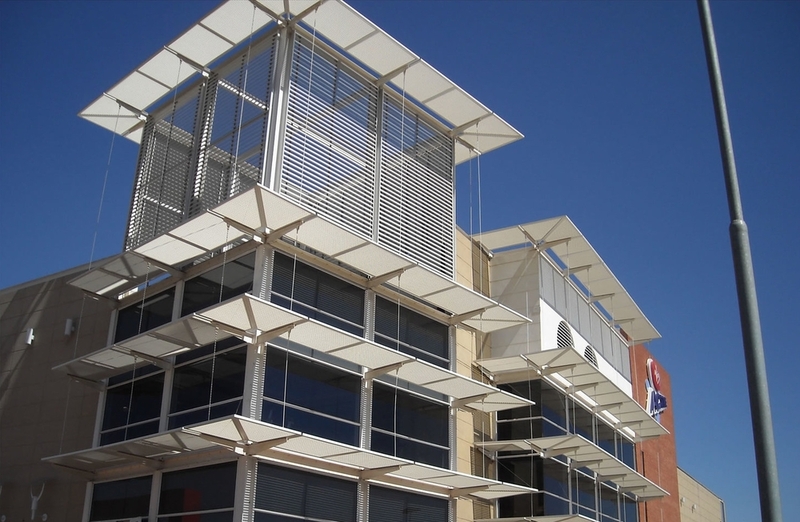 Constructed and installed from start to finish by the Shoreline crew, our custom shade products provide an unparalleled level of craftsmanship. We work side-by-side with home and business owners to craft you the perfect day in the shade. "Just wanted to send a short note letting you know how much we love our new deck cover. It exceeded our expectations so much. We spend our evenings on the deck watching the sun set behind the hill. We are now two very happy customers and will recommend anyone who asks." JOHN KERNN, MOONSTONE BEACH BAR & GRILL. CAMBRIA, CA. REN & TONI STELLOH, PASO ROBLES, CA. Thank you so much for the thoughtful note! We love our new awning which looks great and completes the look of the front of our house. We'll be sure to let you know the next time we're in need of your services. PEGGY TALKOVIC, PASO ROBLES, CA.